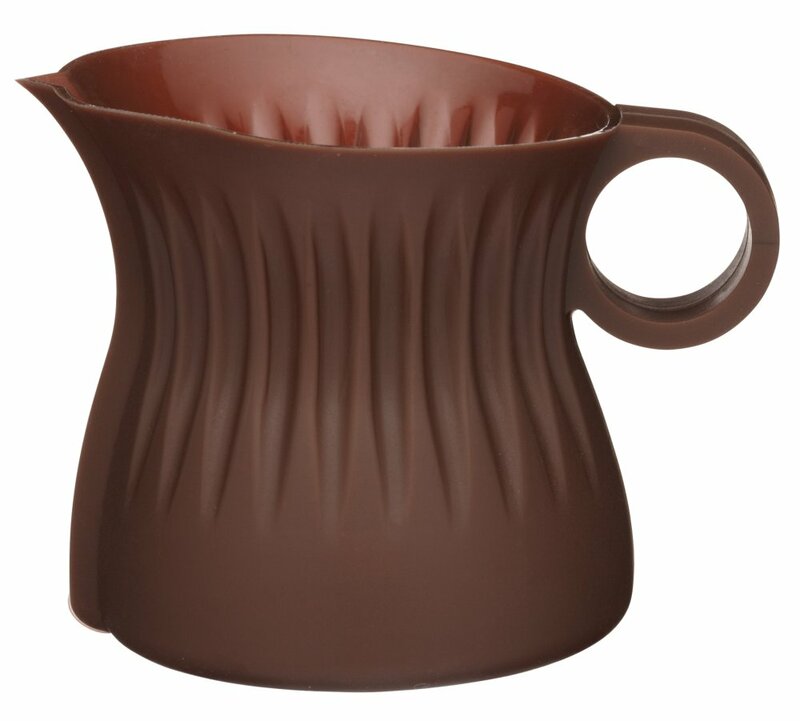 Perfect for melting chocolate in the microwave. Flexible silicone for easy controlled pouring. Holds up to 100 g of chocolate. Maximum diameter including handle 90 mm. This little jug is perfect it might be small but it does a really good job I'm glad I came across this I would certainly recommend buying it..